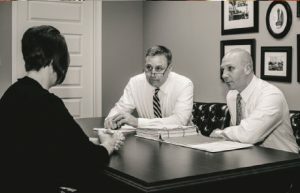 Choosing the Right Attorney for You! 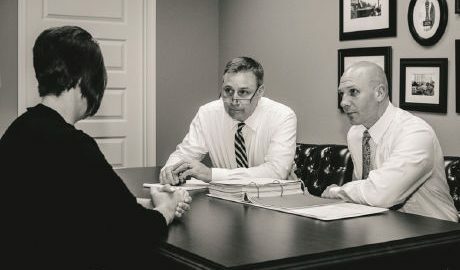 Choosing a lawyer for your personal injury, automobile collision, wrongful death, or workers’ Compensation case is a decision that is similar to picking a partner for marriage. It may be a long relationship and it is always one that requires the two parties, the attorney, and the client, to trust each other. If one party does not trust or believe in the other, justice and full compensation cannot be obtained. That is why the law office of Althauser Rayan Abbarno, LLP offers free injury consultations in Olympia and Centralia by calling (360) 736-1301. Althauser Rayan Abbarno encourages face-to-face interactions with those seeking legal representation and the actual attorney who would be trusted with that case. ; especially if you are injured because there is so much at stake. Some out-of-town and out-of-state, lawyers think they can value your case, assess your family’s needs, and truly advocate for you from a computer screen or over the phone. Some even expect an injured victim of a car accident or on-the-job injury to travel to them and fight traffic. Injury cases are not mere financial transactions. Sure, exchanging information and documents can be completed from anywhere in the world, but you should expect an attorney, arguing before a judge and jury, arguing against a multi-million dollar insurance company, to know you, your family, and your case… personally. Althauser Rayan Abbarno has offices in Centralia and Olympia. After being injured, the last thing you want to do is travel any long distance to meet with an attorney, or worst, hire an attorney over the phone or computer screen. You want to schedule an appointment immediately in Centralia or Olympia by calling (360) 736-1301. For more than 70 years, our attorneys have represented individuals and businesses throughout the State of Washington. We have met with individuals, families, and businesses in their place of work, homes, hospitals, and boardrooms. We pride ourselves on being technologically advanced with a personalized approach. For injured victims of negligence in Washington, choosing a personal injury lawyer is easy. There are a myriad on 1-800 numbers and jingles on television. However, when new clients don’t meet with the attorney before hiring them, they may be settling for less than they deserve. 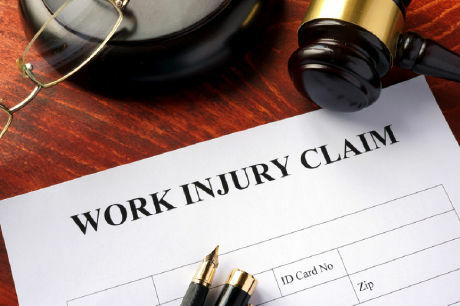 If you or someone you know was injured at work or in a car accident, call Althauser Rayan Abbarno in Centralia or Olympia at (360) 736-1301. We are here when you need us most!